Cut 2 squares of fabric for the cushion. 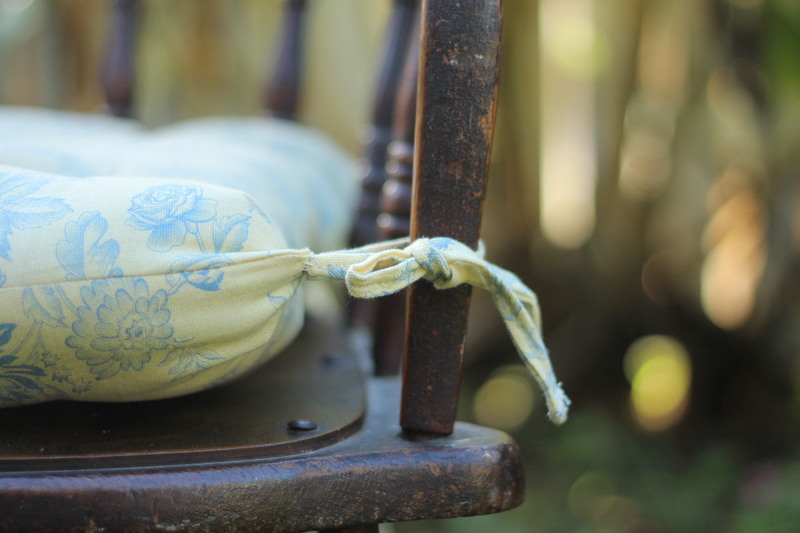 If you have a chair in mind for this cushion, maybe check how big you need to make it. WIth right sides together, stitch 3 sides of the squares. Turn right way out, and stuff. Stuff it nice and full, because you want a lovely comfy seat, not a pancake cushion. Rolling the stuffing into tight little balls before putting it in makes the cushion stay plump and comfortable for longer. 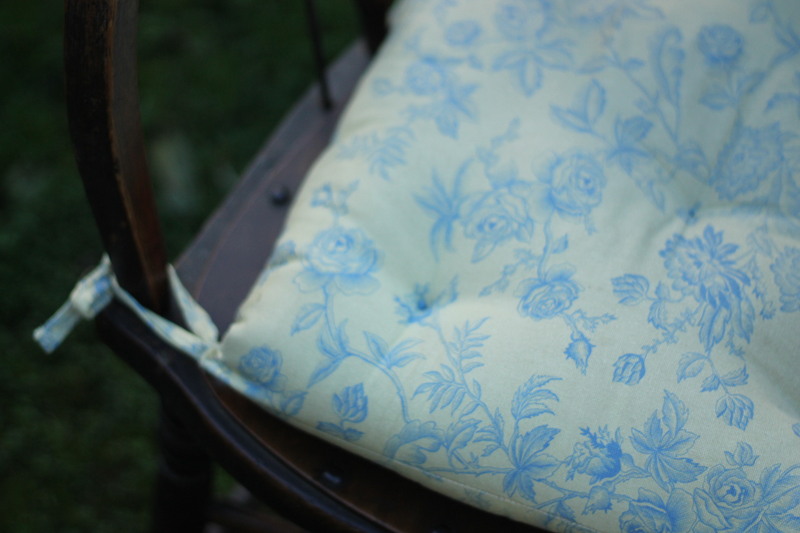 Once stuffed, carefully hand stitch the open side of the cushion. Yes, hand stitching is annoying and slow, (for the impatient like me) but when your agonising over every little invisible stitch, think about the fact that this is a GIFT and it should really be good quality.
. Then sew 4 or 5 “dimples” into the cushion. 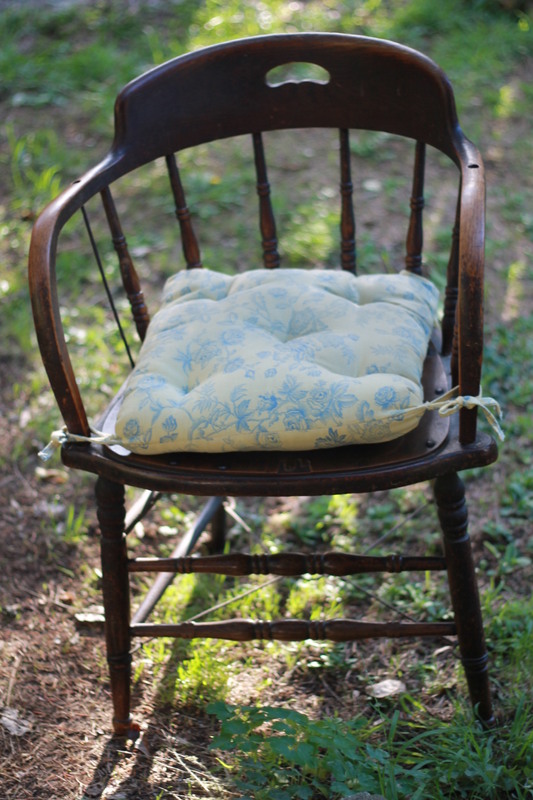 Just sew straight through cushion and stuffing, back and forth like your sewing on a button. Use a big needle, otherwise this can be quite hard work. You can sew buttons on here too, if you like. Now cut a long strip of fabric, about 5cm wide. Fold in half, and sew down securely, into a nice strong tie. Cut this into 4 strips and zig-zag stitch the ends so they wont fray. 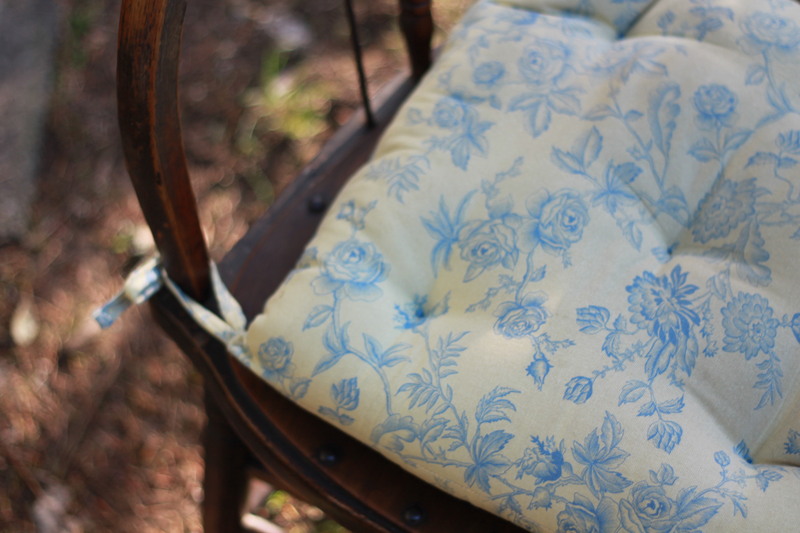 Hand sew onto each corner of the cushion. And now you should be holding a lovely new cushion!! A perfect mothers day gift. And it’s very easy to make.